The measure is strangling both domestic and global investment for India’s nuclear energy program. The nation’s plan to build 63 Gwe of nuclear power generating capacity is stalled out. Modi proposes fixed liability and an insurance pool to bring nuclear firms and investors back to the table. The Hindustan Times reports for 11/30/14 that Indian Prime Minister Narendra Modi (left) is finally working to make changes to restart the country’s stalled nuclear reactor construction program. The current nuclear liability law has stopped both global and domestic firms from having anything to do with India’s nuclear projects. 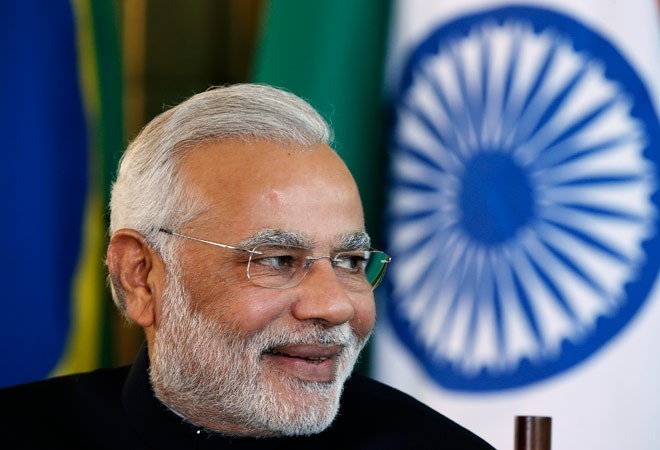 At stake is India’s plan for an $85 billion civilian program to increase nuclear capacity to 63,000 MW from 4,780 MW. U.S. President Obama is coming to India for a visit in January. Modi does not want a repeat of the embarrassment of the previous visit when then PM Singh shrugged off the effects of the liability law sending Obama home without a nuclear deal for U.S. vendors to show for his long journey. The liability law holds suppliers, and not just the operator, liable if an accident occurs, and the liability overhang can extend for years after the equipment has been delivered and installed by the customer. Government ministries are developing the idea of an insurance pool which would have both the operator and suppliers contribute to the fund to cover high insurance costs. The size of the insurance fund will depend again on the government’s own contribution, as state-owned Nuclear Power Corporation of India Ltd (NPCIL) is the sole operator of nuclear power plants in the country. A large contribution by the government would make the fund more palatable to vendors. The newspaper reports that the Ministry of Finance and the Department of Atomic Energy are working together on the proposal for the fund. Foreign suppliers, including the American ones, wanted the liability attached to specific components to be fixed to ensure that their credit isn’t damaged because they are operating in India. In terms of what changed, the influence of Indian heavy industry firms may be decisive. Their refusal to submit bids for equipment for the Gorakhpur Nuclear Power Plant, intended to be a 2800 MW power station composed of four 700 MW PHWRs of Indian design, was the key signal to the government that it could no longer dismiss complaints about the nuclear liability law as being sequestered among foreign firms. The Hindustan Times quotes two spokesmen from the Indian firms. “Walchandnagar Industries (WIL) has been a long standing nuclear equipment supplier, helping to build the domestic nuclear power capacity. The equipment are manufactured as per the design of NPCIL and it is inspected & cleared by NPCIL engineers at each stage. In which case, the manufacturer should not even qualify for the liability clause,” said GK Pillai, managing director & CEO of WIL. Currently, India relies heavily on coal, which costs the country in terms of air pollution, CO2 emissions, and government corruption issues. India is one of the largest producers of coal in the world. The BBC reports that the coal-rich region in India includes huge swathes of eastern states like Orissa, Jharkhand and Chhattisgarh. 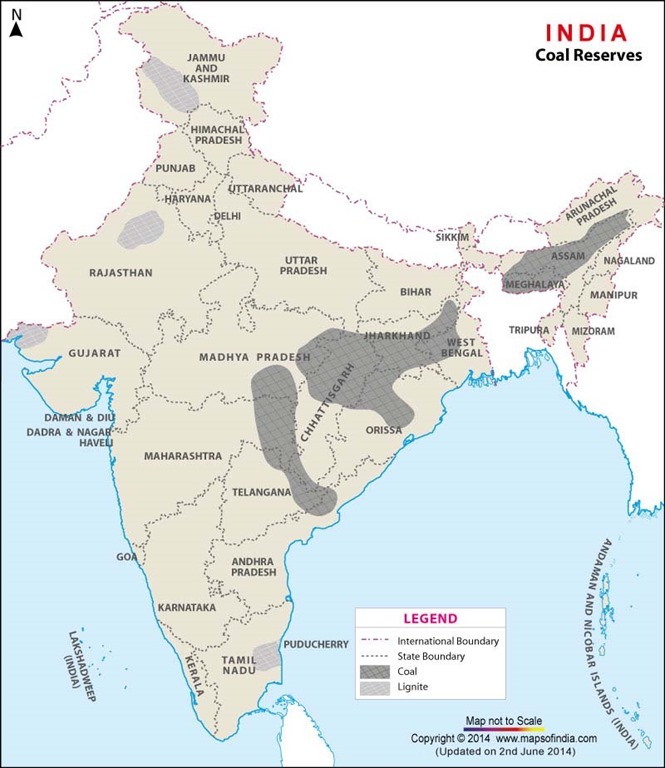 Large areas containing coal are divided into blocks, which can then be leased to mining companies. More than half of India’s commercial energy needs are met by coal. It is the main fuel for generating power and making steel and cement. The state-owned Coal India Limited (CIL) is the only agency which sells coal in India. It is also the world’s largest producer of coal – during 2011-12, it produced more than 435 million tonnes of coal. It is no secret that the coal interests have been delighted by the nuclear liability law since it stalled out the construction of nuclear power plants that would put the coal fired units out of business. However, due to the liability law, the only thing to show for the effort is a mountain of paperwork. In 2009 GE Hitachi Nuclear Energy signed an ambitious agreement with Indian engineering and construction giant Larsen & Toubro Ltd (L&T) to develop an advanced nuclear power plant in India based on Advanced Boiling Water Reactor (ABWR). L & T would develop the capability to make large castings for reactor pressure vessels. GE Hitachi Nuclear Energy would provide the technology for ABWR nuclear island equipment and components. L&T’s role will be to engineer, manufacture and construct them . The joint agreement has not been funded, and L&T has bluntly told the Indian government it is its own worst enemy in terms of removing stumbling blocks to executing the deal. Maybe this time President Obama will come home with some good news for Westinghouse and GE Hitachi.